General Description: Downata Hot Springs ​is a family geothermal destination that boasts a Hot Springs Pool, Hot Springs Tub and a Hot Spring Playground that has a hot springs waterslides. Downata offers accommodations that include camping, cabins and yurts. This hot spring offers a spa and massage. Location: ​From Pocatello, Idaho it is about 45 miles or about 45 minutes to drive to the hot springs. 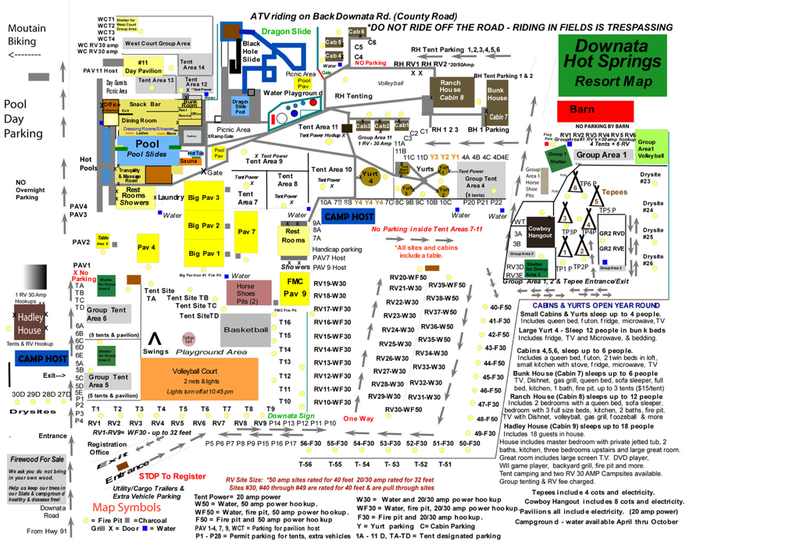 Accessibility: Downata Hot Springs is very accessible. You can drive up to the resort. The hot springs are an easy walk around the hot springs. This hot springs is not handicap accessible. Hot Springs: ​Downata Hot Springs has a source that bubbles up from a rock-bottomed spring south of the pool. The temperature of the source is 112 degrees 44.4 C. It is piped to the swimming pool where cool water is added to make it comfortable for swimming. Downata boasts a Hot Springs Pool, Hot Springs Tub and a Waterslide Hot Springs. The hot springs tub has a Temperature of 102 degrees to 106 degrees. The hot Springs Pool has a Summer temperature of 85 - 99 degrees and in the winter 95 - 101 degrees. Hot Spring water also supplies the water slides, water playground and floor heating system. Pool, slides, hot tub and playground are chlorinated. Spring flow is over 600 gallons per minute. The pool is a flow through system. Clothing is not optional. Bring your bathing suit. ​The mineral water has no odor and is crystal clear with a consistent PH of 7.1. 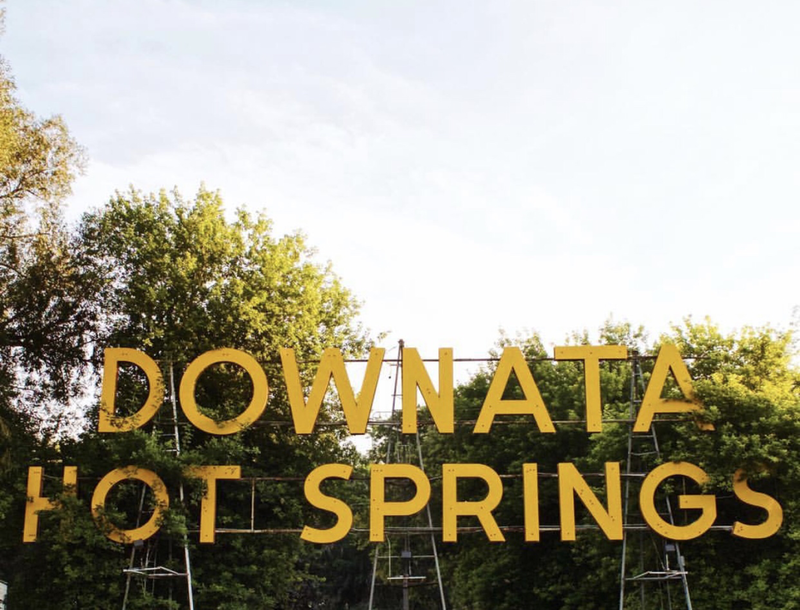 Hot Spring Tips: ​The name Downata Hot Springs comes from the name itself meaning down at a hot springs. Downata Hot Springs Campground is pet friendly and welcomes campers who travel and share their camping with the family dog and/or cat. There is all sorts of accommodations that include tent camping, RV camping, Yurts, cabins and a house to stay for your convenience. Downata has bathrooms, showers and changing rooms. The resort has a sauna and steam canopies. The property offers a snack bar for your dining needs. This hot springs offers swim classes. ​Clothing is not optional. Bring your bathing suit. Youtube Video on Downata Hot Springs is below.